Fundraising by Amesbury School Children – UK. 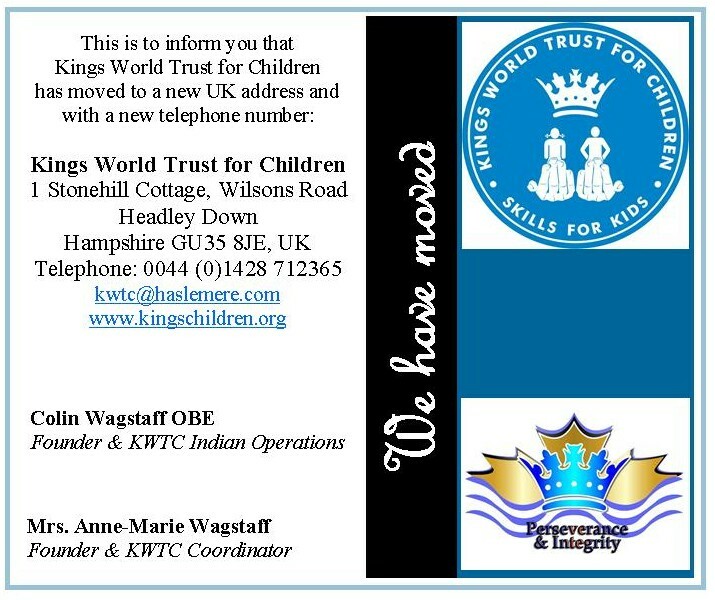 The children at Amesbury school regularly support the charity work carried out by Kings World Trust for children in India. Mr Colin Wagstaff from The Kings World trust for Children went to an assembly to receive the money raised by the children over the last academic year. A cheque for £ 3856.70 towards KWTC’s charity work in India was handed over during the assembly. A big thanks to Mrs Maggie Hamilton, Charity Coordinator and all the children and staff of Amesbury school. The foundation stone for the new Kings CBSE School was laid by His Excellency Mr Mike Nithavrianakis, British Deputy High Commissioner to Southern India – who is also the patron for Kings World Trust for Children in India, on 10th September 2013 in KINGS Campus, India. In a solemn function, Mr Colin Wagstaff, Chairman of Kings World Trust for Children and Kings School welcomed the gathering and Mr.J.Navamani, Director, KWTC – India, briefly explained the SCOPE and OBJECTIVE of this new Kings CBSE Syllabus School and how it is going to benefit the local community by creating / providing extra Bursary places in existing Kings School. His Excellency Mr Mike Nithavrianakis in his address, appreciated the commitment and dedication of Mr. Colin Wagstaff – the founder of KWTC & Kings School. His Excellency Mr Mike also recalled his previous visit to Kings School and acknowledged the remarkable developments in the school campus in terms of Amenities, Sports and other infrastructure facilities within a span of nine years. Mr.Mike congratulated Mr Wagstaff for the tremendous strides that Kings School has taken to provide a high quality education to a very diverse range of children in and around this area. The cultural programme by the children of Kings School and KWTC added flavour to the function and kept everyone speechless. And of course the delicious Luncheon that followed made the day even more memorable!!. Kings School celebrated their Ninth Annual day on 17th August. Shri. C. Samayamoorthy, IAS, District Collector, Tirunelveli presided over the function. Mr Colin Wagsaff, Chairman welcomed the gathering and honored the Collector, while Mr J Navamani, Correspondent gave an introduction to the Collector to the audience present. Mrs Pupsy, Principal gave away the Annual Report. The collector gave an encouraging speech to all students and parents to give good education to all their children and this is possible only if they have a school with good facilities and coaching in academics and sports. He emphasized that the parents should not enforce the students to choose a particular field, but give them the freedom to choose their career and encourage them to use the facilities to the maximum. Further the proficiency awards for all classes were distributed and the toppers of std X & XII were also awarded by the Collector Mr C. Samayamoorthy. Various cultural programmes were performed by students of all classes- including Classical, Western, Orissa, & folk dances. Also the choir of Kings School gave many songs and the traditional Indian instrument on Veena was also played by students. The vote of thanks was given by Mrs Chandra, the Middle School Head and she appreciated all the participants for their wonderful performance. Many KWTC Residential care and Outreach children also took part in the Annual day programme. Click here to View Photos.. 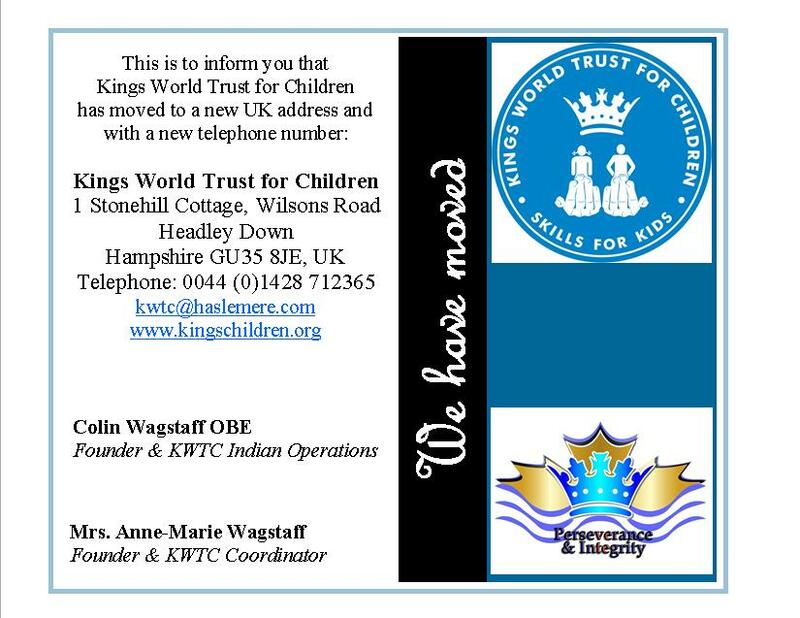 The nineteenth Founders Day of Kings World Trust for Children was celebrated on Saturday the 3rd August 2013. Every year KWTC children look forward for this special day eagerly – to sing , dance and to celebrate their Uncle Mr.Colin Wagstaff’s Birthday. The Programme was held in the A.K.Hall – Kings School. KWTC(India) Director Mr.J.Navamani welcomed the gathering and briefed the History of KWTC in a nutshell. The Best Child Award among the girls was shared by Gunaseeli, std XII and Roselin, std XI and among the boys the award was given to Subramanian, std X.
Mrs. Valarmathi bagged the Best Foster Mother Award. The Founder Chairman also awarded Roselin of Std X and Vinoth of Std XII , who were the toppers in the Board Examinations from the Trust. Mrs Alice Leslie, Indian Trustee, Ms Kate Treitman, US Trustee and Ms Vikki Groves from UK were also present and enjoyed the programme. Many parents, Alumni members of KWTC were also witnessed the programme. The evening was filled with colourful dances performed by both girls and boys of the Trust. The presence of Aunty – Mrs.Anne Marie Wagstaff added colour to the Celebrations. The Hindu – A leading news paper in India publishes the news about our founder Chairman Mr.Colin Wagstaff”s OBE award. We congratulate our Founder, Mr. Colin Wagstaff, on the award of an OBE medal by Her Majesty the Queen in the 2013 New Year’s Honours. The award is for his services to Education and Young Communities in Southern India. Every year awards are made by the UK Queen to individuals, both in the UK and Overseas, who have made outstanding contributions to the welfare and development of their own communities. This dedicated service is recognised by the award of a medal. 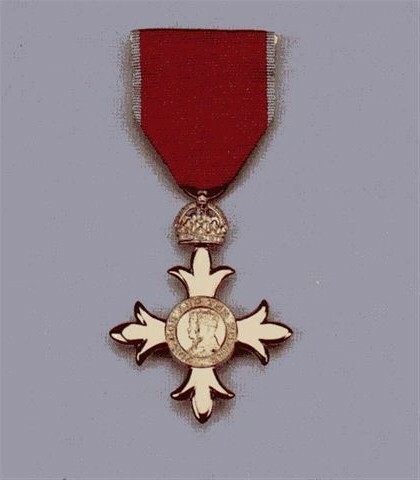 This OBE to Uncle Colin was the only 2013 award made to a British Citizen serving in India. Uncle Colin founded Kings World Trust for Children in 1993 with the aim of providing care, education and training for poor, disadvantaged and marginalised children and young people. The Charity operates residential Children’s Homes, an Outreach education programme, care for children with disabilities, tsunami relief and reconstruction and a programme for volunteers from outside India. The Charity started with 5 children and now cares for and educates nearly 2000. 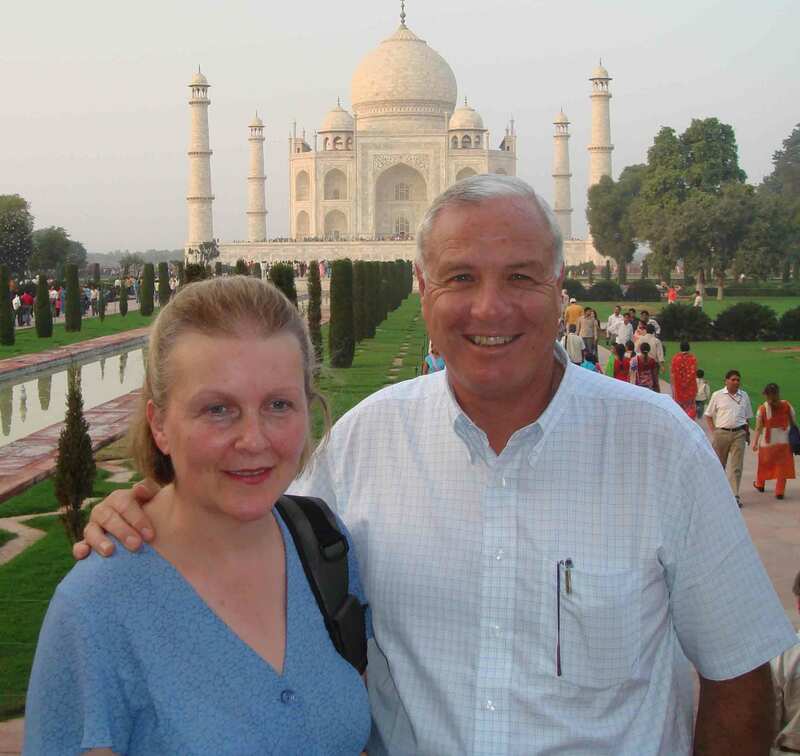 In 2004, Uncle Colin founded Kings School which is now one of the most successful schools in south India. It has gained a first class reputation for academic achievement and also for sports, music, art and Indian culture. Kings School offers a large number of academic and sports scholarships to bright children from disadvantaged backgrounds. Uncle Colin is well known in southern India for the work which has been achieved by Kings World Trust for Children and Kings School. He is also a member and a past president of the Rotary Club of Valliyoor Central. This award is true recognition of his leadership, vision and dedication to disadvantaged children. We were delighted when our local Member of Parliament, Mr Ramasubbu, officially opened the “Burden Centre” on our Founder’s day on 4th August 2012. The centre provides excellent facilities for many projects operated by KWTC and will be a useful resource for our Outreach and Residential Programmes. Our Outreach Office is located in the new centre, where the staff manage the children supported by both our Education and Medical Outreach Programmes. It will be the focus for all outreach functions, including a day care and therapy centre for children with disabilities, seminars, summer camps and educational resources for children on the Education Outreach Programme. Residential children will use the centre in for evening classes, cookery classes and computer training. 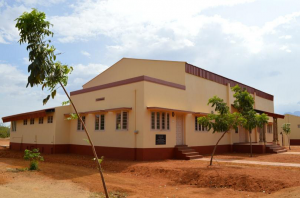 The Burden Centre is a wonderful multi-purpose facility that will benefit every one of the children we support. We are very grateful to the grant making trusts whose generous donations made it a reality. © 2012. All rights reserved. Do not distribute without permission.